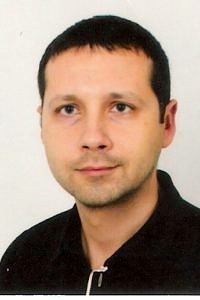 Przemysław Rompalski has got master’s degree in chemistry, specialization in organic chemistry. Author or co-author of around 11 publications related to the quality of solid fuels. Conducting research, as an open doctoral dissertation, on the content of mercury compounds in furnace waste from grate boilers. Many years of experience in organizing proficiency tests by interlaboratory comparisons of hard coal, solid recovering fuel and solid biofuels. Conducting audits: as a leading auditor of the Integrated Management System, compliant with the PN – EN ISO 9001: 2015-10 standards, PN – N – 18001: 2004PN – EN ISO 14001: 2015-09; as an internal auditor of the standard PN-EN ISO / IEC 17025: 2005. Acting as the Proxy of the Plant Manager for the Integrated Management System. Performing research related to the quality of solid fuels. Substantive work on the quality of solid fuels. Content coordinator of R+D work entitled: “Research on lignite in terms of the possibility of producing energy mixes”. Substantial participation in the fuel and analysis team in the project: Technology for Biodetoxification of Wooden Waste Impregnated with Creosote Oil for Application as a Fuel or Fuel Component” (acronym BIOALT). Participation in the project: “Technological Solutions for Underground Coal Gasification Combined with Capture and Storage of CO2” (acronym TOPS), “Increased Coal Extraction Efficiency Through the Use of Underground Gasification in European Lignite Mines” (acronym COAL2GAS) and “Development of Coal Gasification Technology for Highly Efficient Production of Fuels and Electricity”.